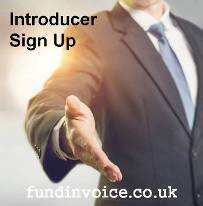 You could make some additional money by referring companies to us that need business finance. We get paid a commission on any deals that we successfully place and they take up a facility. We would be happy to split any commission received with you. There is lots of information on our website about the kinds of finance that we can find for companies. In broad terms it includes, business loans and invoice finance (funding against unpaid invoices). However there are many other types of business finance that we offer. We are established brokers that have been Finalists at the Business Moneyfacts Awards for 4 years running. Add a personalised, trackable link to your website - if any clients come through that route, they are tracked and you are paid accordingly. How it works is explained below. We can provide you with a personalised landing page, on our site, for your clients, or your web visitors to use. It will have a unique web address, called a URL, which means that we know exactly which clients came from you website. The landing page can be branded with your logo (if you like), and with some tailored text. Or you can just have a trackable link to a standard contact form on our site. The form can be a contact request form (asking a member of our quote search team to contact them) or a full application for finance. (Clicking on those two links will open up example landing pages for you to see). We can identify any forms that are received from your clients, and attribute those to you. It takes very little time for us to set up a trackable link for you to add to your website - and you could start offering our service to your web visitors as a profit making opportunity immediately.